Chargé par la gendarmerie nationale de traquer Francis Heaulme, alors considéré comme un simple marginal accusé de meurtre, Jean-François Abgrall commence par décrypter le langage de son interlocuteur, élaborant une « grille de lecture » sur le mode des profilers américains…. « 5:10 pm. A murder has just been committed on Moulin Blanc beach, just outside Brest. Aline Peres, aged 49, has been stabbed, her body found lying in the middle of the beach by passers-by… » There was no forensic evidence, but the detective in charge, Jean-François Abgrall, had a reputation for his psychological insight into criminal behavior. 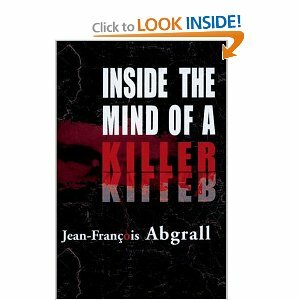 This is the riveting account of how Abgrall’s instincts led him inside the mind of France’s most lethal serial killer, Francis Heaulme. With ingenious alibis and remarkable resistance to interrogation, Heaulme outsmarted detectives all over France. It was only Abgrall who was able to decipher Heaulme’s coded references to his string of brutal attacks—thus far, at least 40 murders. A massive best-seller in France, Abgrall’s eloquent account shows how the most vicious criminals can only be caught by a combination of luck, patience, skill, and determination. editor : profile books London.